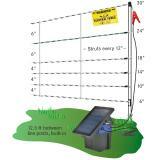 A portable electric fence designed to keep “free range” pastured pigs in. The bottom strand is suspended 6" above the ground to prevent pigs from rooting soil onto the fence. Put your pigs to work by using their rooting and foraging instincts to your benefit. 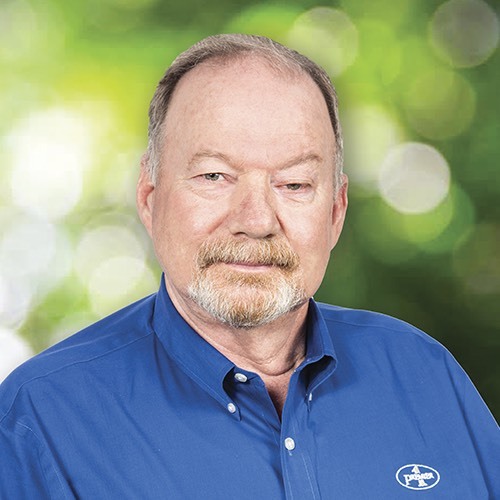 Selectively till gardens, pastures, woodlots or just about anywhere else on the farmstead. 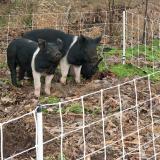 Once a section is tilled, it’s easy to take down the fence and move the pigs to their next job site. New! 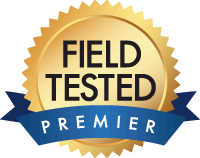 Now available as a Complete Starter Kit—includes netting, extra support posts, solar fence energizer, ground stake and a wireless tester. As a perimeter or subdivision fence for pastured pigs. Allows pigs to forage gardens, orchards and fields after harvest. 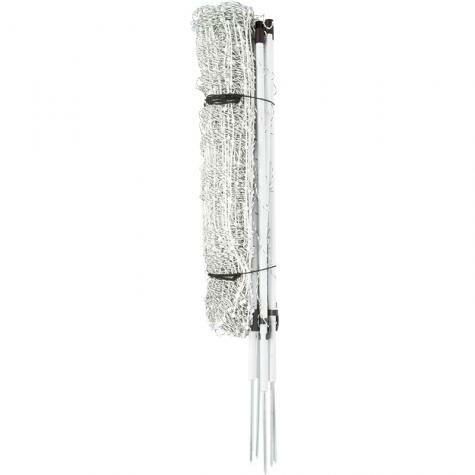 Replacement for pens made of heavy wire panels. 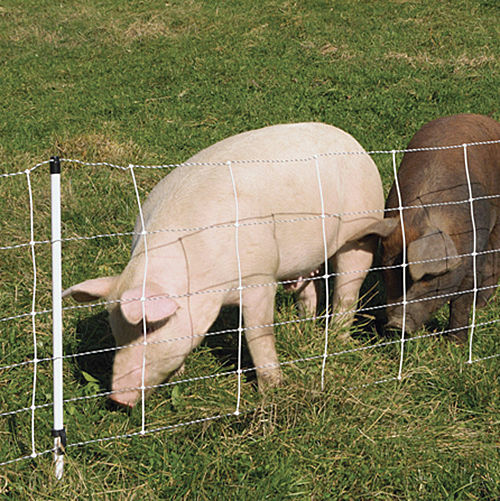 Pig QuikFence® is intended for domestic pigs. 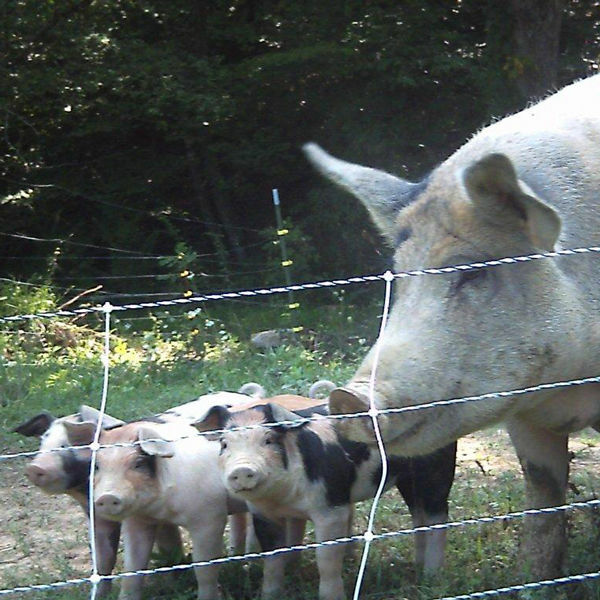 To create a barrier for feral hogs, consider HogNet® instead. 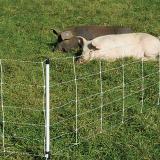 Horizontal Spacings 4", 4", 4", 6", 6"
Experience tells us that domestic pigs must be trained to electric fence. 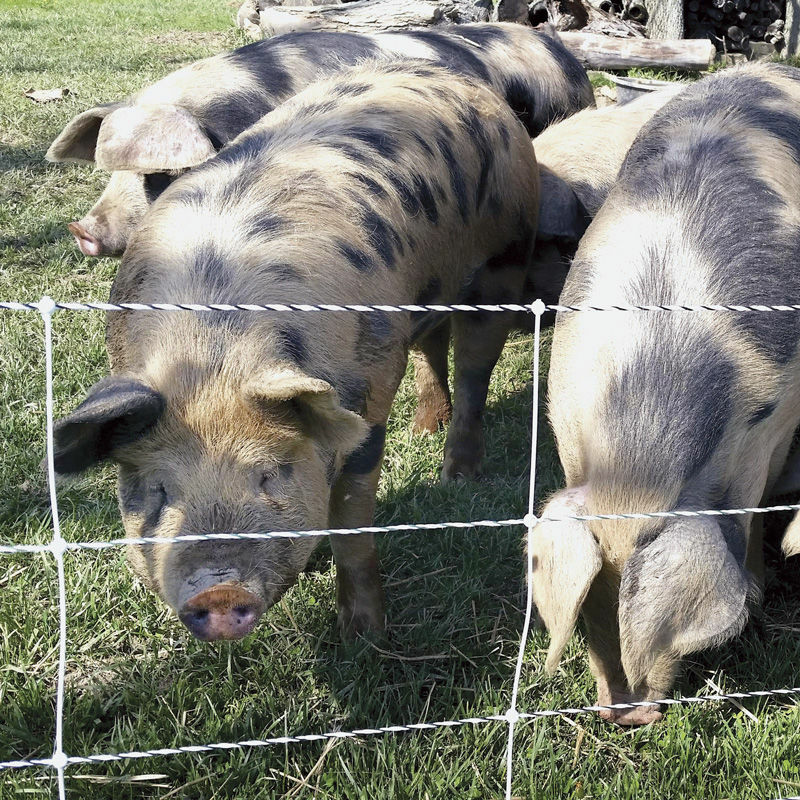 Failing to do so can be expensive—in damage to the fence plus the damage the escaped pigs might create. 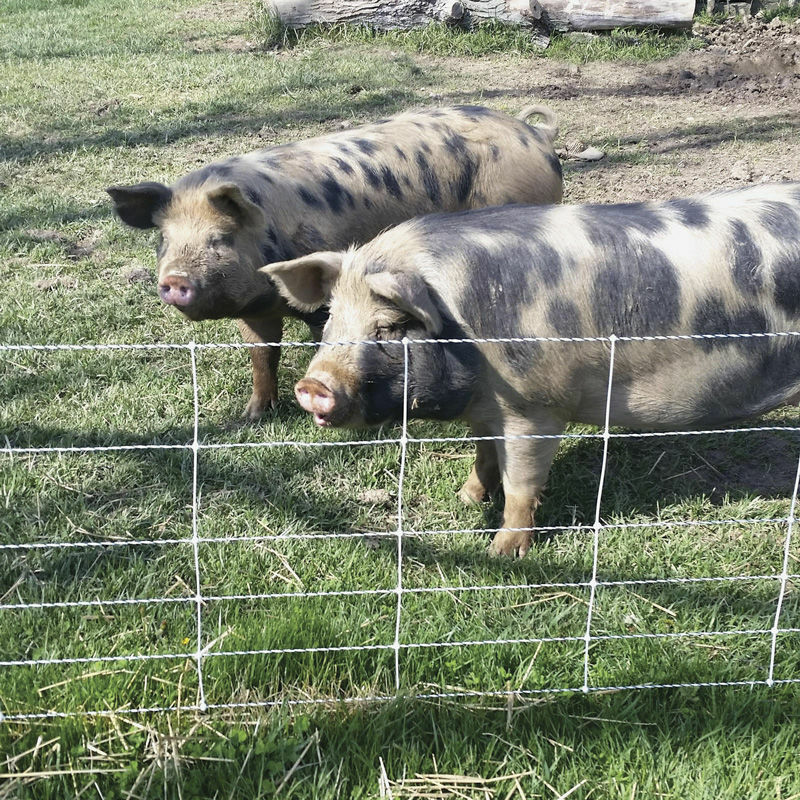 Inexperienced pigs may decide to respond like pigs—and charge forward through the fence instead of backing away. 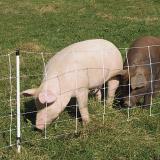 To train, set up Pig QuikFence® fence alongside (1 to 2 ft away) a secure permanent fence that the pigs can’t get through. Make sure the netting is electrified—at least 3000V at the end of the fence. 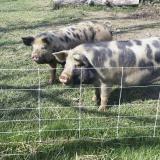 Introduce the pigs to the fence and monitor for a few hours. 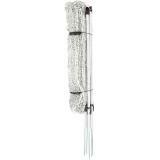 Number of reviews: 59 customers reviewed this product. Recommended: 58 out of 59 said they would recommend this product to a friend. 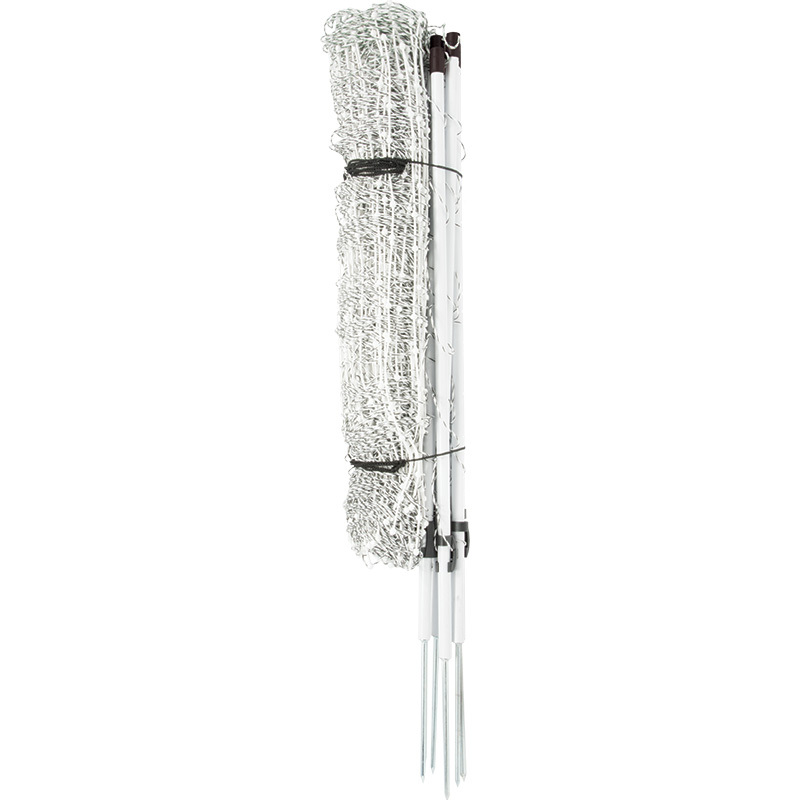 A nice feature of this net is the lowest strand is high enough off the ground to avoid most contact from weeds and sticks. And pigs have a hard time burying the strand when they are rooting near it. 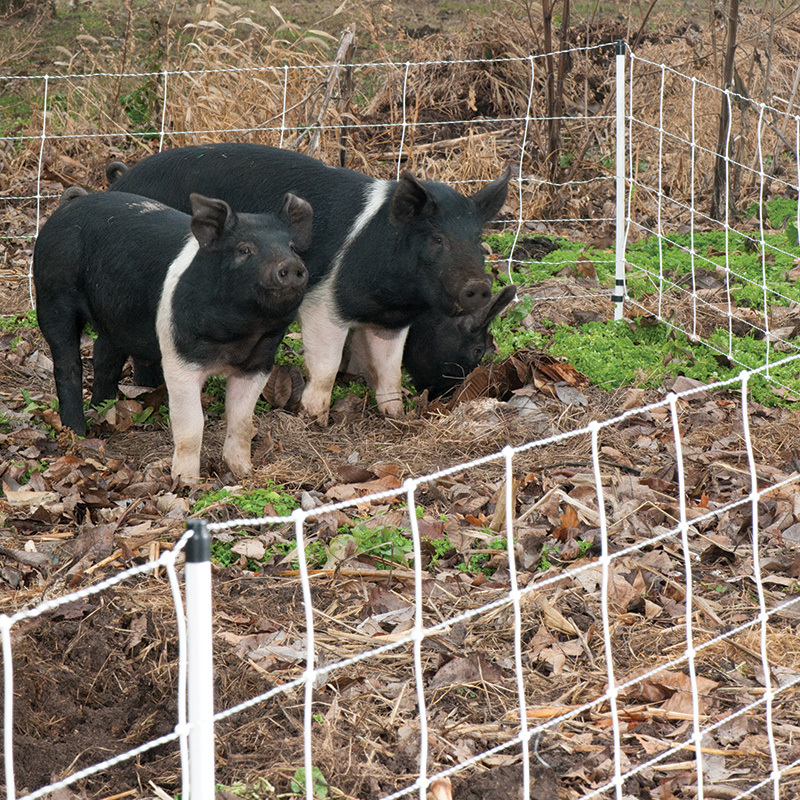 Pigs can quickly till the soil, so expect to move the fence and pigs often. Excellent product. Easy to install and move. Keeps the pigs in no problem. 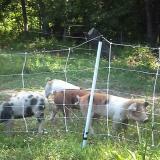 I love these new quick pig fences. 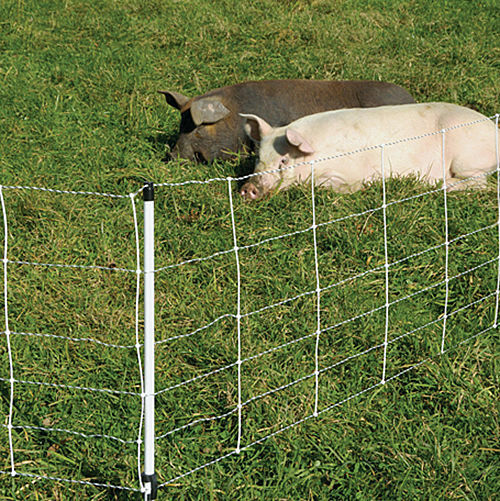 I pasture raise my pigs—rotating fields every few weeks—this fence is the best! Great product. Takes minutes to change locations.